Situated in the working village of Old Malton, Brook Farm Cottage is within easy walking distance of two pubs (The Wentworth: 100 yards and Royal Oak: 600 yards), both serving cask ales. The kitchen at the Royal Oak is being refurbished, so currently only the Wentworth offers food (and cooked breakfast if notified the night before). The cottage consists of a fully fitted kitchen, sitting room with wood burner, downstairs toilet, one double bedroom, one twin bedded room and spacious bathroom with walk-in corner shower. Wifi is available. Outside there are extensive gardens and secure off road parking. Old Malton has easy access to many local walks and the River Derwent. The village has a regular bus service to the North York Moors, Pickering, Helmsley, York and the coast. Stunning walks close proximity include the Centenary Way, the Howardian Hills, Bempton Cliffs, Blue Man Walk, Danby Beacon and many others. Local museums and attractions include Eden Camp, Flamingo Land, the North York Moors Steam Railway from Pickering to Whitby. The market town of Malton is a 15 minute walk away, and has a regular Saturday market and monthly Food Festival. There is also an hourly train service from Malton to Scarborough, York, Manchester and Liverpool, with links to further afield. The village is also placed ideally for those wishing to attend the numerous events at the annual Ryedale Festival, or to explore the surrounding area and many historic houses. Well behaved dogs allowed by negotiation. The cottage was clean, tidy and welcoming. It was spacious and exactly what we needed. Annie had left us clean towels, breakfast foods, milk and bread! Lovely place and great value for money! Would highly recommend!! It was a pleasure to have you stay, and we hope to see you again. Just had a lovely Christmas break here. Very quiet. Tea, coffee, milk, bread, eggs and lots of other little extras provided. Been a few times now and would highly recommend it. It was a pleasure to have you stay and we hope to see again in the future. It was a pleasure to meet you and to have you stay. We hope to see you all again. Clean,comfortable and well equipped cottage. Peaceful setting;enjoyed the garden.Excellent host. 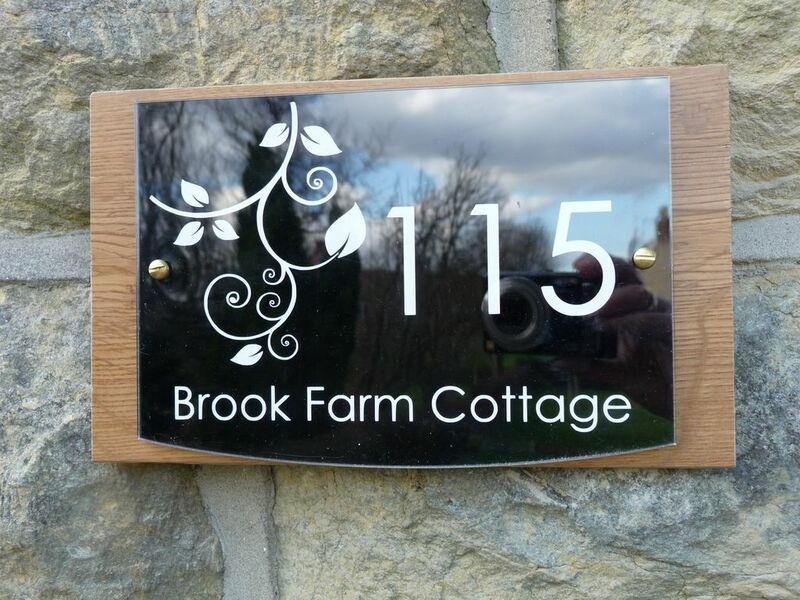 Had a wonderful stay at Brook farm cottage and enjoyed every minute. The weather was brilliant for early May and we were perfectly placed to visit the coast and many of the idyllic little inland yorkshire villages. All our needs were catered for by the facilities offered by the cottage and it was clear that a lot of careful thought and consideration had gone into its preparation. Annie was very friendly and helpful and made us feel extremely welcome. We look forward to returning later in the year. It was a pleasure to have you stay and we hope to see you again. Stayed here in the midst of some very cold and snowy weather but the cottage and the wood burner were lovely and cosy. Annie even fired it up before we arrived which was really appreciated. The welcome pack was also extremely helpful. We'll be going back. Thanks Annie! It was lovely to meet you all. Really pleased that the weather didn't spoil your stay. We hope to see you again.